If you are looking for information on the In Home Personal Services franchise business opportunity, In Home Personal Services franchises or In Home Personal Services franchising, then you have come to the right place. Patricia Livesay-Smith, Founder of In Home Personal Services, spent 25 years in the Home Health Care Industry before establishing her own company in 2002. Patricia is dedicated to providing quality senior care at affordable rates based upon the needs of seniors and their loved ones. Armed with her vast experience in the industry, Patricia developed the In Home Personal Services business model based upon putting the needs of seniors first. Over the past 8 years, In Home Personal Services has proven to be a successful business model. So successful in fact, In Home Personal Services now offers Franchise Opportunities. According to the United States Census Bureau, there are 78.2 million baby boomers. As the aging population continues to climb and longer life expectancies are reported, seniors and their loved ones are going to be faced with decision to obtain additional assistance for the senior or to move them into an assisted living facility. 84% of seniors wish to remain in their homes. Currently, 1 in 4 families nationally have reported they provide some level of care to an aging loved one. 70% of those providing such care reported needing help. 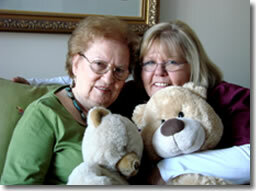 More times than not, a home health care agency can provide just the care they need. your desire to succeed the rewards will come.